In the not-too-distant healthcare future, "virtually cloned" physicians will operate in AI-enabled, mixed reality clinics that offer 24/7 access and consultation. Aided by IoT-enabled wearable devices, implantable and ingestible sensors, virtually cloned physicians will collect on-demand diagnostic data to fuel proactive, seamless patient care extending beyond the walls of clinics, labs and hospitals. This will enable doctors to extend their expertise anywhere, to anyone, at any time, eliminating global healthcare access barriers and quality of care. Join us to explore the revolutionary role virtual humans may play in your healthcare future! Part of the IEEE Tech for Humanity Series. Andrew Thompson is Co-Founder, President and Chief Executive Officer of Proteus Digital Health. His vision for digital medicines is focused on expanding global access to care, dramatically increasing the value delivered by drugs and creating a sustainable model for innovation that leverages the cell phone in everyone's pocket. He is also a Co-Founder of Summit Schools, a leading Charter High School organization with an acclaimed track record and unique digital platform, featured in the Davis Guggenheim movie Waiting for Superman. Thompson is active in digital humanities innovation with Stanford University and Cambridge University and a Co-Founder of Parker Library Online - a leading destination for digital medieval studies. He holds masters degrees in Engineering (Cambridge), Education (Stanford) and Business (Stanford GSB) and has a successful 25 year track record starting and building technology based healthcare companies in Silicon Valley. Jay Iorio is the Innovation Director for the IEEE Standards Association. His primary focus is virtual worlds, augmented reality, and serious games. Iorio built and currently manages IEEE Island in Second Life and has worked extensively with advanced publishing technologies, multimedia, and 3D user interfaces. He is also a composer, machinimatographer, and creator of the Etherfilm studio complex in Second Life. Iorio is based in Los Angeles. Dr. Leslie Saxon is a Professor of Medicine, Clinical Scholar, at the Keck School of Medicine of USC. Dr. Saxon specializes in the diagnosis and treatment of cardiac arrhythmias and preventing sudden cardiac death. Dr. Saxon received her medical degree from the Ross University School of Medicine. She completed her internship and residency at St. Luke’s Hospital Washington University, and fellowships in cardiology at Rush-Presbyterian-St. Luke’s Medical Center in Chicago and UCLA. Dr. Saxon has completed over 100 publications in various medical journals and is an active member of a multitude of organizations, including the American Heart Association, and the Heart Failure Society of America. She is also a fellow of the American College of Cardiology and the Heart Rhythm Society. Dr. Saxon is also the Executive Director of the internationally acclaimed USC Center for Body Computing (CBC). The CBC is currently a place for all USC schools, including medicine, engineering, business and cinematic arts, to form interdisciplinary relationships and accelerate the future of fully integrated, “connected” medicine. Dr. Saxon participates in the pre-clinical and clinical development and testing of wearable and implanted technology, including networked devices used in medicine, wellness, and fitness disciplines. With her clinical expertise, she is a valuable strategist in developing device models and software solutions that offer engaging user-feedback based on real-time physiologic data. Her cultivation of critical innovative partnerships to jointly commercialize products within the CBC is essential for furthering and improving the dissemination of medical information, enhancing communication and improving health outcomes. 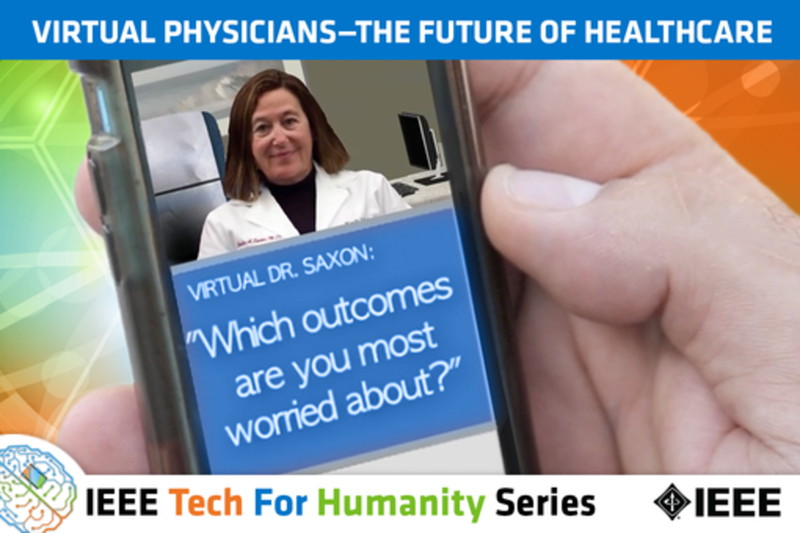 Dr. Saxon has spoken at various forums including TEDMED, SXSW, and WIRED Health and is regularly quoted in popular press (WSJ, NYT, BBC and Fast Company). By day, Todd Richmond is the Director of Advanced Prototypes at the University of Southern California’s Institute for Creative Technologies (ICT). By night he is a musician, visual artist, and conceptual trouble maker. Todd coined the terms "Emulsional Worlds" and "Emulsional Reality" to describe the challenges humans face in an increasingly virtual world and how analog and digital can coexist. In a previous life Todd was a chemistry professor at The Claremont Colleges where early in his faculty career he incorporated multimedia and Web technologies into his teaching and research. That work led him to evolve from his specific focus on chemistry to instead pursue a broader understanding of technology and content. This accelerated in 2000 when transitioning to become managing director of the USC Annenberg Center for Communication, a new media research center. In 2006 Todd moved to the ICT and currently he works in a variety of areas: emerging disruptive technologies and their implications/applications for training, learning, and operations, future environments for communication and collaboration, counter-IED and situational awareness training; immersive technologies; interactive education; visualization. He works closely with the USC School of Cinematic Arts and on the music tip, he has studied with Grammy- winning bassist Victor Wooten, and his band nostatic released the album “Time’s Up” in 2014. For those keeping score at home, Todd received a B.A. in chemistry from the University of San Diego, and went on to earn a Ph.D. in chemistry from Caltech, followed by a postdoctoral fellowship in protein engineering at the U.C. San Francisco.